Famously modest and generous with his time, Ronan Sayburn MS has been in the wine industry for nearly 20 years. He has worked with some of the world’s biggest chefs at many of London’s most famous restaurants, including Pied à Terre, The Greenhouse, Hotel du Vin, Alain Ducasse at The Dorchester, 45 Park Lane, Royal Hospital Road, Claridge’s, The Connaught, The Savoy, Boxwood Café and Maze, to name a few. Sayburn was executive head sommelier of the Gordon Ramsay Group for eight years, and his address book no doubt reads like a Who’s Who of the food-and-drink industry. However, it is his dedication to supporting the next generation that makes him such an important figure. He has guided many a sommelier from the back bar to front of house, and his 5,000-strong wine list at 67 Pall Mall is the best in London. “We had an idea to create a place for sommeliers to work and learn. We currently have 17 sommeliers, and most have been put through Court of Master Sommeliers or WSET courses, which 67 has paid for.” It’s fitting, therefore, that Sayburn’s own career in wine began with the help of another legend of the trade, Gerard Basset OBE MS MW. Born in Scarborough, North Yorkshire, Sayburn began his career with a course in hotel catering and management, and had aspirations to become a chef, until he spotted Basset’s face on the cover of Restaurant Magazine and it dawned on him that he could work with wine for a living. Sayburn wrote to Basset, who helped him get his first break, at Le Manoir Aux Quat’Saisons. The rest, as they say, is history. 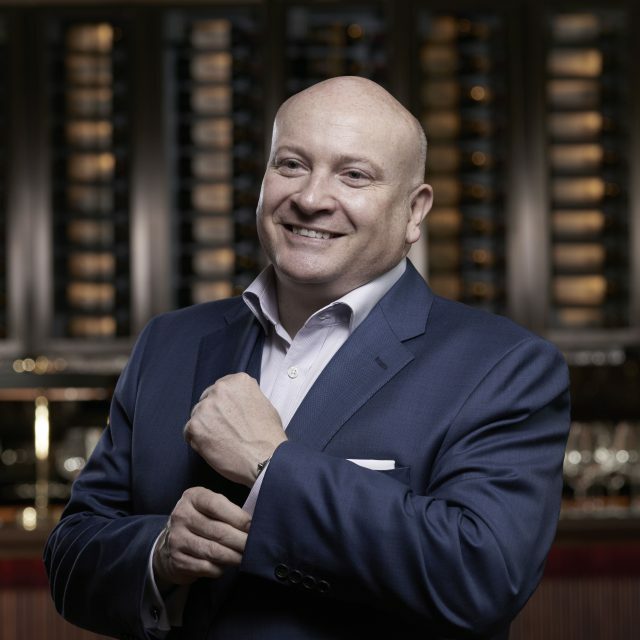 From here, he went on to be crowned UK Sommelier of the Year in 1998, competed twice representing the UK in the European Sommelier Competition, and gained his Master Sommelier qualification in 2005. Last year Sayburn became CEO of the Court of Master Sommeliers. “I am inspired by anyone going through the Court of Master Sommeliers courses. They are very tough exams. With the long hours that are involved in catering, putting in the extra hours of study takes extreme discipline and persistence.” In another life, Sayburn worked as a diving instructor in the tropical seas of Thailand, and still enjoys diving to shipwrecks off the south coast of England.